In John 2:1-11, we see Jesus’ first miracle. This is, obviously very significant, and yet, it seems so trivial. Why is this his first miracle? What does it mean? 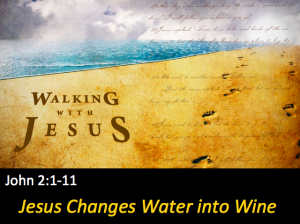 Join us as we begin walking with Jesus and his disciples along a dusty road near Cana.